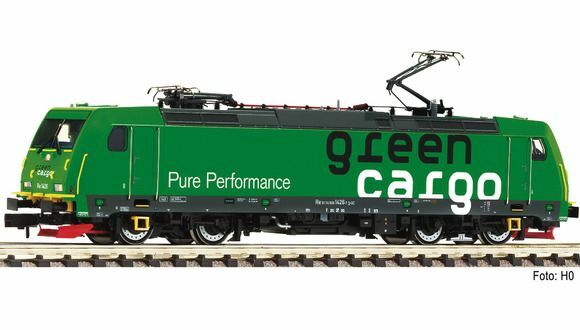 Electric locomotive Re 1426 of the Swedish State Railways SJ / Devision Green Cargo (SJ). Epoch VI. Inscription and lettering true to the original model. In-plane mounted windows. Metal die-cast chassis. 5 pole motor with flywheel. Drive on four axles with two traction tyres. Interface according to NEM 662 (Next18) standards for the adaptation of a decoder. Coupler pocket according to NEM 355 standards with close coupling mechanism. White and red triple LED headlights that change over with the direction of travel. The headlights can be partially or even entirely switched off with contact plates.